Derek has never gone away. He's mentioned every night. We always play a little tribute to him. 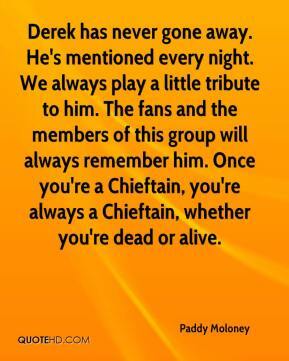 The fans and the members of this group will always remember him. 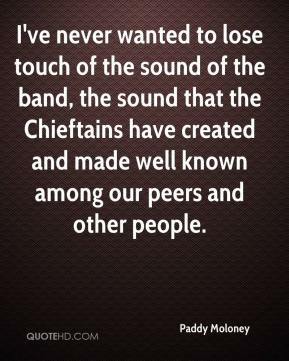 Once you're a Chieftain, you're always a Chieftain, whether you're dead or alive.